Archangel Jophiel - The Angel of Creativity, Beauty & Illumination. Archangel Jophiel - I am the Light! Archangel Jophiel, fill my body, mind and spirit with light! Beautiful inspirational thoughts, we love them, that's Archangel Jophiel. He helps you to think beautiful thoughts, those thought that enable you to attract and manifest more beauty in your life. You know when you have those sudden flashes of wonderful inspiration and suddenly the answers to problems, that is Jophiel bringing joy, laughter and light, he also helps you with studying, exams, and concentration as well as developing intuition, inner wisdom and insight. 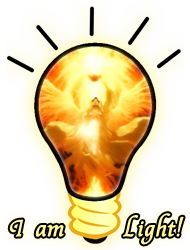 Because Jophiel helps in absorbing information, it's a great idea to have him at your side when you're studying for and want to pass tests. Call on Jophiel's energy to help you slow down and smell the roses. 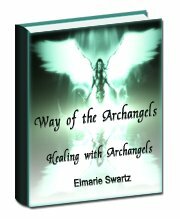 When - I teach my students about the archangels they find themselves in a position to understand each of the archangels as well as to call on their mighty powers to help them in their life as well as to ask for help in aiding loved ones. Today, as always they are still strongly making their presence known and when working in tandem with them you will be able to co-create a more peaceful world for yourself and your loved ones. Click here to see the full curriculum. then take my hand and join me as I guide you on your journey. Use Jophiel's yellow ray to help you to develop a fresh approach and bring to life enchantment and pleasure. Physical Associations Pancreas, solar plexus, liver, gall bladder, spleen, middle stomach, nervous system skin and your digestive system. Spiritual Gifts Wisdom, illumination, understanding, inspiration, knowledge, clear seeing, creativity, beauty, connection to higher self. Practical Assistance Help in absorbing information, teaching, studying for passing tests, freedom from addictions, and dissolution of ignorance, pride and narrow mindedness. World service Exposure of wrongdoing in government and corporations, help in fighting pollution and cleaning up our planet. NOTE: Jophiel and the Yellow Ray helps healing by reinforcing energy, strengthening weak body processes and also assists in healing arthritis, joint stiffness and immobility. The Yellow Ray is great for breaking down cellulite and removing toxins.